THE local Australia Day observance in New Norfolk will be held on the Derwent Esplanade tomorrow, January 26, with free activities and entertainment for all ages. The day kicks off at 10am when the annual fun run and walk gets under way. Entries will be accepted on the day. 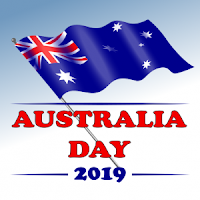 The rest of the program includes music by the Derwent Valley Concert Band and the long-established local group The Sign, as well as the flag raising, announcements of Australia Day award recipients and an Australia Day address by the Australia Day Ambassador. There has been a late change in the program with the scheduled Australia Day Ambassador, Mitch McPherson, now unable to attend. The ambassador's role will now be filled by Diana Butler OAM, a Launceston nurse who helped form the Care for Africa Foundation to address poverty, lack of water, medical and educational services in Tanzania. The New Norfolk Lions Club will host a free Australia Day barbecue. Free children's activities including a jumping castle and face painting will be provided by the Derwent Valley Youth Future Action Team (D'FAT) and the Salvation Army. There will be other activities in New Norfolk and Bushy Park (see below). The scheduled events at Maydena have been cancelled due to the bushfire risk this weekend.